A large fluffy comforter for her first cuddles. Pioupiou's asset : an incredibly soft material. 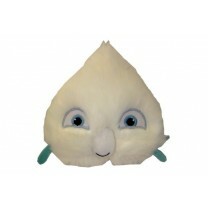 Spider is an adorable and fluffy ball with big blue eyes, a true unlimited hug caller ! Soft and cute , it will be adopted by the family in a blink of an eye ! 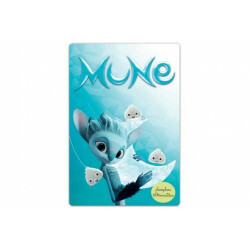 These lovely white spiders become Mune's best friends, the movie heroe and keeper of the moon, in their quest to find the recent disappeared moon and the sun. The Plush will be baby's companion anywhere he goes or could keep the bed warn while you're on a balllade for isntance, a lovely decoration.